We help anyone with debt issues, including credit cards, foreclosures, repossessions and taxes. We help you keep your assets and resolve your debt issues! I am a Bankruptcy attorney who will be with you every step of the way, and it will be my pleasure to help you. Bankruptcy is a legal process where in times of financial trouble with the aid of an attorney you can eliminate most of your unsecured debt. This usually would include credit cards, loans, medical bills and merchant accounts. It may not include child support and back IRS or State tax debt. Secured Debt on cars and homes can also be eliminated in Bankruptcy if you wish to surrender the auto or real property (home). If you want to keep the property then you can usually continue to own it if you pay for it. I can advise you on the IRS tax ramifications of these transactions. Most people do not lose things they own when they file Bankruptcy in Denver, Colorado. In Bankruptcy law, the State has said that many items that you have are exempt, such as furniture, clothes, and a certain amount of car and home equity. As a Bankruptcy lawyer I can help you determine which, if any of your assets, are not exempt. The Colorado Bankruptcy process itself is usually a four month process where at first documents are prepared and filed with the Court that discloses financial details of your life. The next step is usually to attend a creditor's meeting where a Trustee briefly asks you questions about these documents and your financial affairs. About 60 days after this you normally will receive your Bankruptcy Discharge, which is your diploma from Bankruptcy Court. Please contact me if you have any questions. 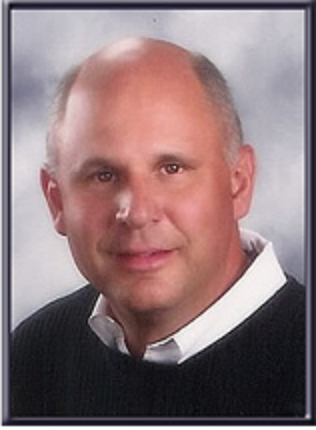 Having practiced law since 1986, Michael emphasizes bankruptcy, tax, and real estate matters. SELF EMPLOYED Attorney and CPA, specializing in Bankruptcy, Debt Workouts, Tax, and Adoption law. Have handled over 2,000 Bankruptcy cases during this period, including many Chapter 11 cases. IVERSON, YOAKUM, PAPIANO & HATCH, Los Angeles, CA Fifteen attorney business litigation firm. ARTHUR YOUNG & Company, San Jose, California, Part time tax accountant. Newport Beach, California, Full time audit staff. Board Certified Consumer Bankruptcy Law (American Bankruptcy Board of Certification). Colorado does not certify attorneys as specialists in any field.